300 Gallon Watering unit with optional hose reel. 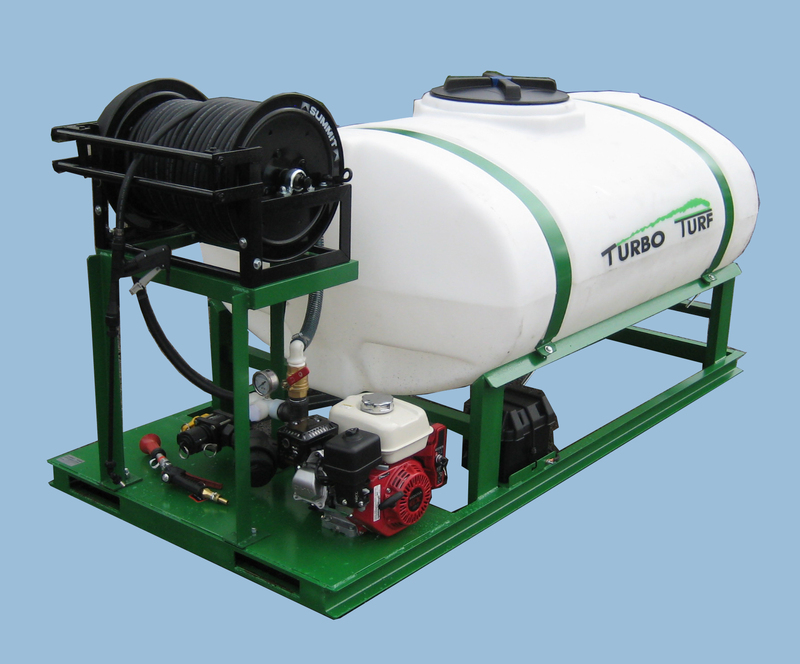 Turbo Technologies makes Skid type watering units from 50 Gallons to 1600 gallons. Skid type watering units are designed for many different watering applications It consists of a tank on a structural steel skid with front fork lift slots. It is powered by a Briggs Vanguard 6.5 H.P. recoil start engine (Honda engines with recoil or electric start optional). It comes standard with a 2″ 150 GPM pump with a maximum of 35 PSI. The unit has a by pass and a manual valve. Units come standard with 75” of 3/4″ discharge hose and hose holders on the side of the tank.